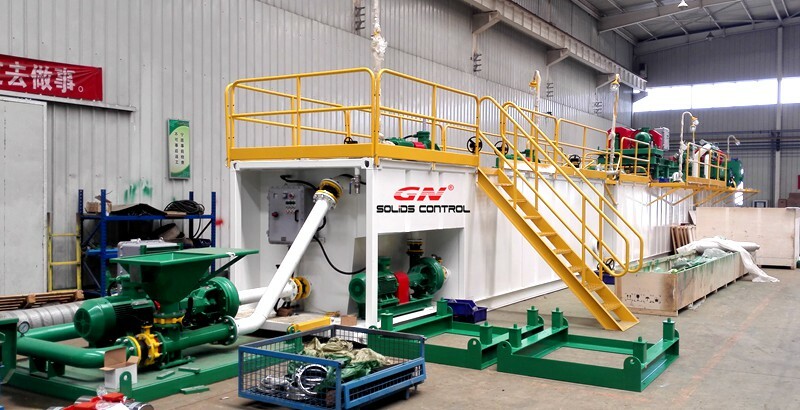 Recently GN solids control shipped one set of solids separation system for mining to Vietnam. 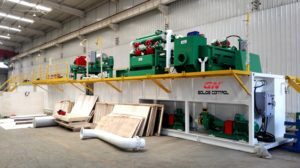 The client sent their engineer to China for EX works delivery inspection and operation & maintenance training. The solids separation system is used to separate the cuttings/ solids from the mining sludge, then the client can recover the sludge/ water to save the cost for the client, and the final disposal waste is reduced, so the waste treatment cost could be reduced and saved. 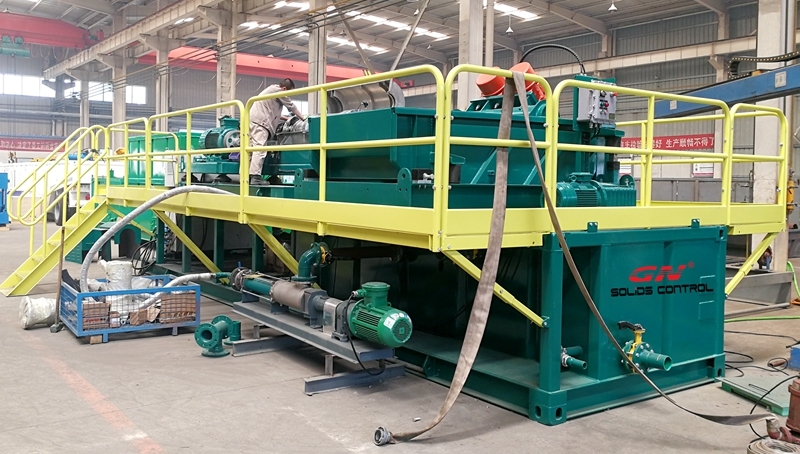 1)High G drying shaker to separate coarse solids from the mining waste sludge, the mesh size of the shaker screen is choosed by the client as per the solids size range in the sludge. 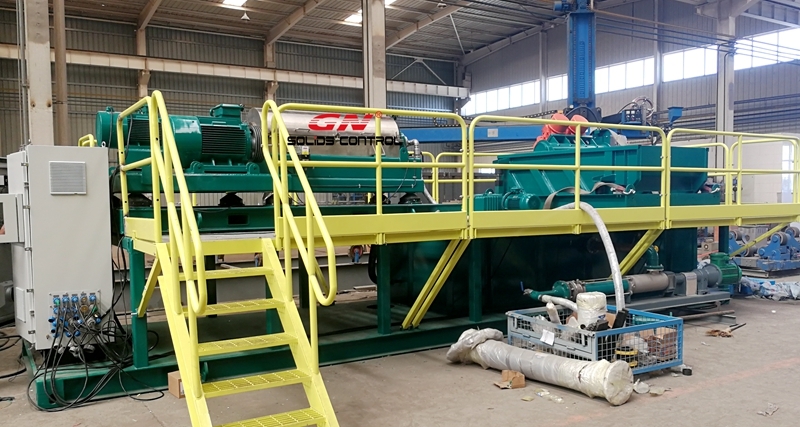 2)VFD decanter centrifuge to separate fine solids from the mining waste water to reduce the solids content, only ultra fine solids remained in the water, the clean water storaged in the mud tank can be reused. The moisture of solids discharged from the centrifuge can be adjusted as per the client’s requirement, by adjusting the pond depth adjustment plate, the discharged solids can be dry or wet and the treating capacity also varies accordingly.